is at the bottom of the blue line. 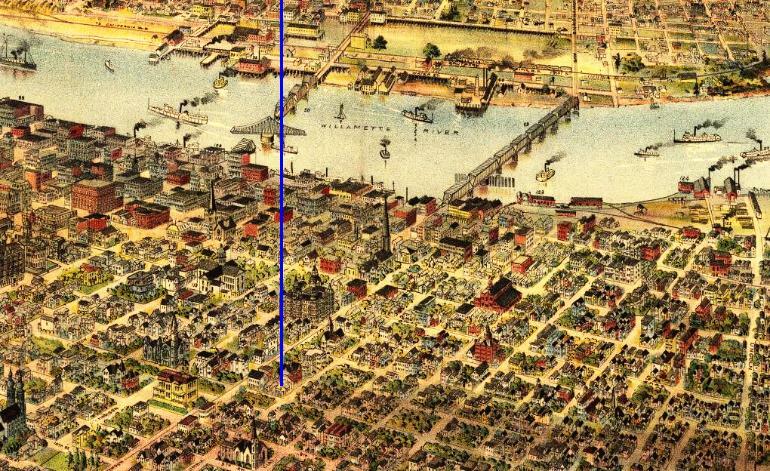 This is a portion of a view of Portland. A full copy is located at Library of Congress.